At times, Application Engines can get really big and searching for a Section within a complex App Engine can be a quite daunting. 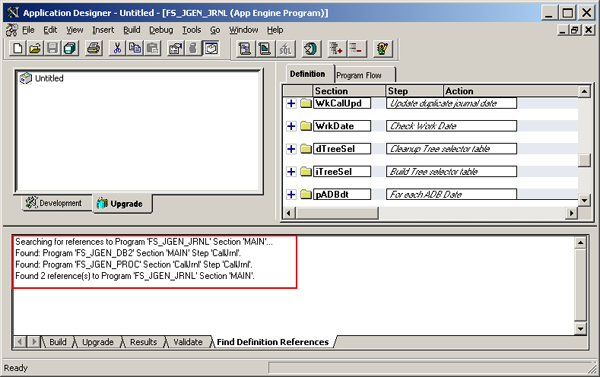 That said, PeopleSoft provides a feature to locate Sections within an App Engine with ease. Though this feature has been present in the App Designer for a very long time, I don’t see many people using it, hence posting it here. To try this out, open a complex (really long) App Engine and follow the below steps. 1. Go to Edit > Go To Section. Alternatively, you can use the Ctrl + G key combination. 2. In the window that pops up, enter the section name. 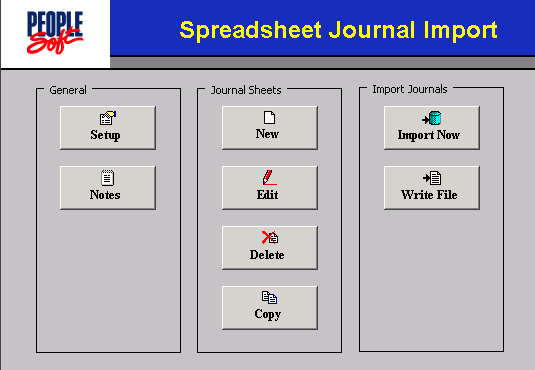 You can also use the drop down box. Click OK.
3. We are taken to the Section searched and it is highlighted, thereby reducing our time in scrolling and searching for the section within an AE. While we are at it, I would like to highlight another useful feature in the Edit menu – Find Definition References. 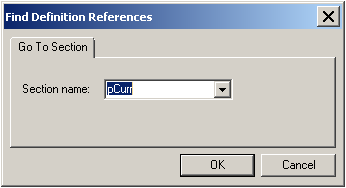 Yes, we all use this feature to identify references made to PeopleSoft objects like Fields, Records etc. Very handy before customizing an object! 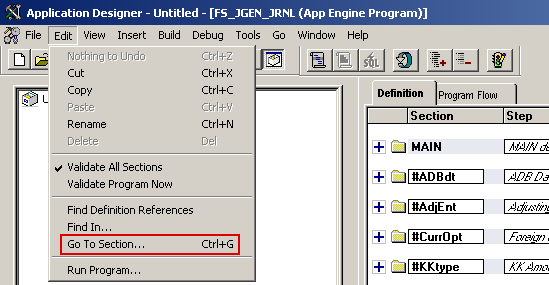 However, in case of App Engines, this feature is slightly different – for a given Section, it shows all Steps that has a CallSection calling this Section. Open an App Engine and follow the steps below. 1. Go to Edit > Find definition references – the pop up window appears. 2. 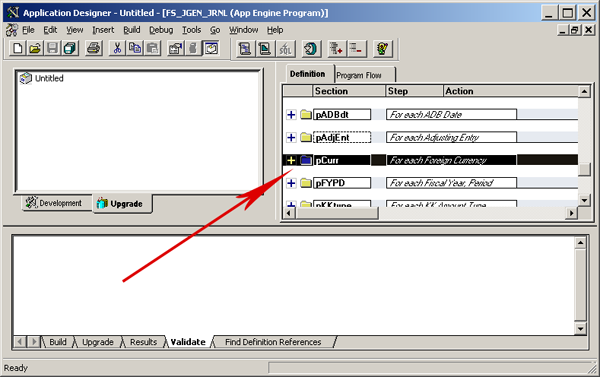 The pop up shows the program as the currently open program’s name. Select the Section name (for which references are required) with help of the drop down box and click OK.
3. 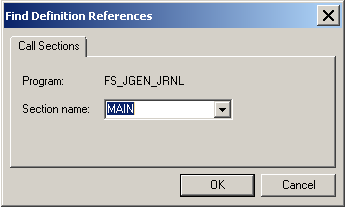 The system searches for references (calls) to the entered Section and lists them in the Find definition references tab of the Output window. @Iouri – Happy to know that!